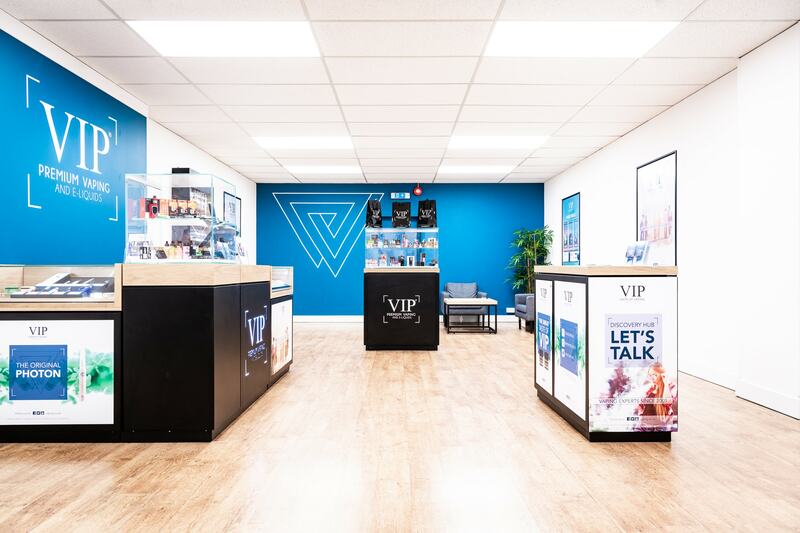 VIP have made their mark in the industry with advanced vaping products, providing consumers with an education into the vaping journey and supply high-quality products. Our challenge was to curate and develop a compelling retail concept, reflective of this brand story, for future stores and kiosks throughout the UK. 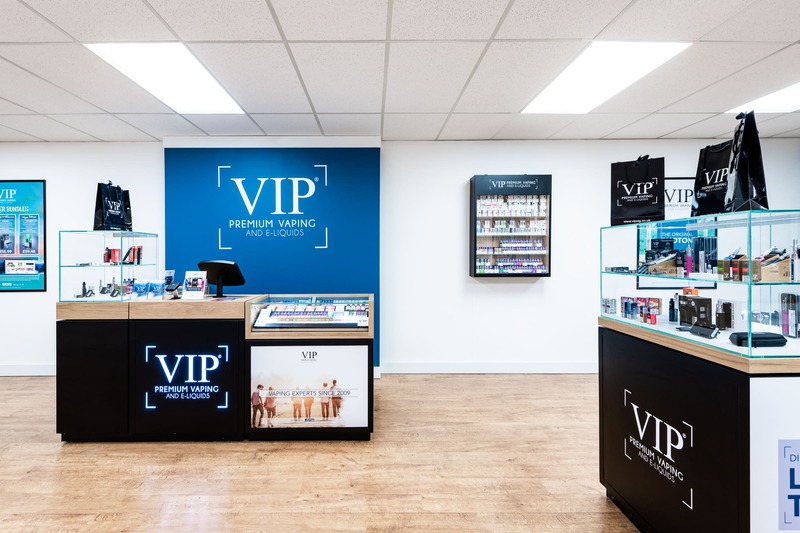 Over recent months, we have been working closely with the UK team to develop an exciting new brief which would elevate the VIP brand in physical retail. The brief covered both owned stores and kiosks, highlighting a need for a holistic set of design guidelines which would become flexible across a multitude of locations and site specifications. Our retail design studio curated a family of flexible unitary to merchandise VIP’s product portfolio. The finalised design concept for these units complement the brand, reflecting its premium nature through sleek design and high-quality materials. The display cabinets, consultation tables, storage areas and cash desks featuring a brand monolith are finished with a mixture of real wood, powder coated steel, glass showcases and sleek LED lighting; working together to create a truly premium and eye-catching aesthetic. 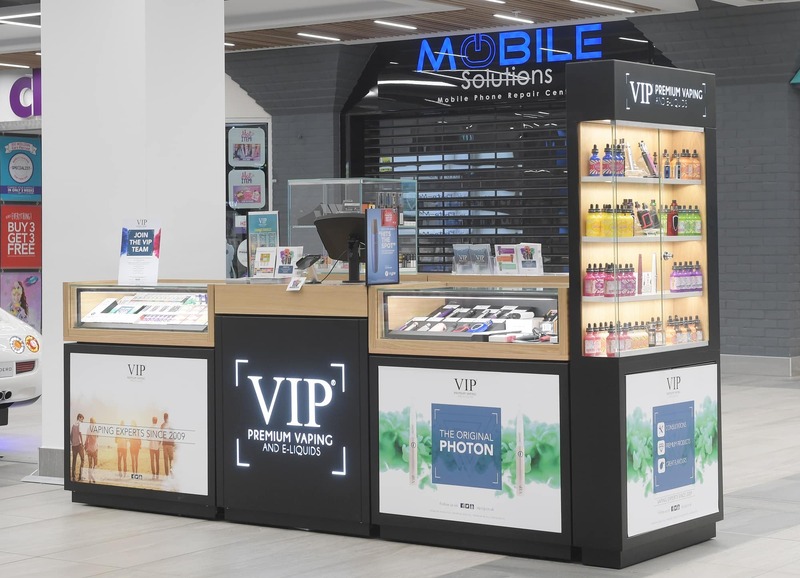 Each display area houses a flexible product display system, including magnetic prints, creating a space for easy product communication and marketing campaigns. This flexibility is mirrored within all of the unitary, allowing all of the cabinets, tables and desks to be easily configured for each specification of store or kiosk site. 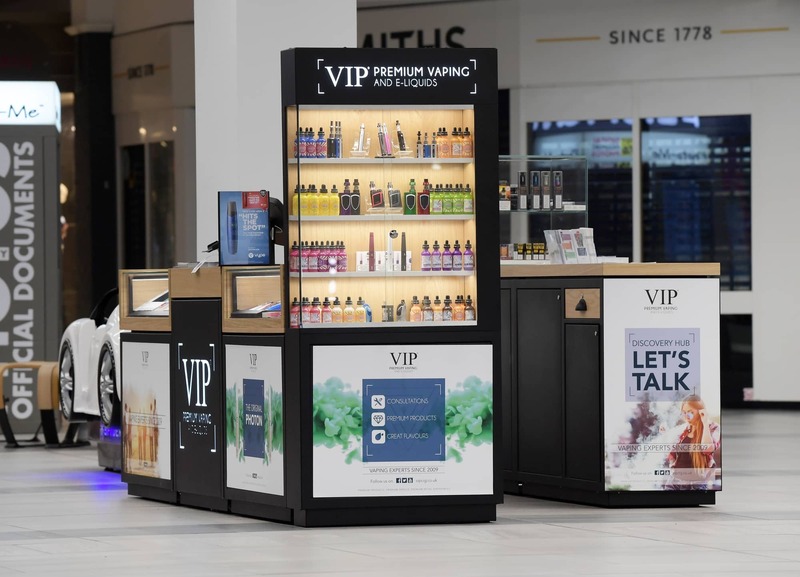 Our first store installation took place within Hinckley, Leicestershire and shortly after we completed The Grafton Centre kiosk. 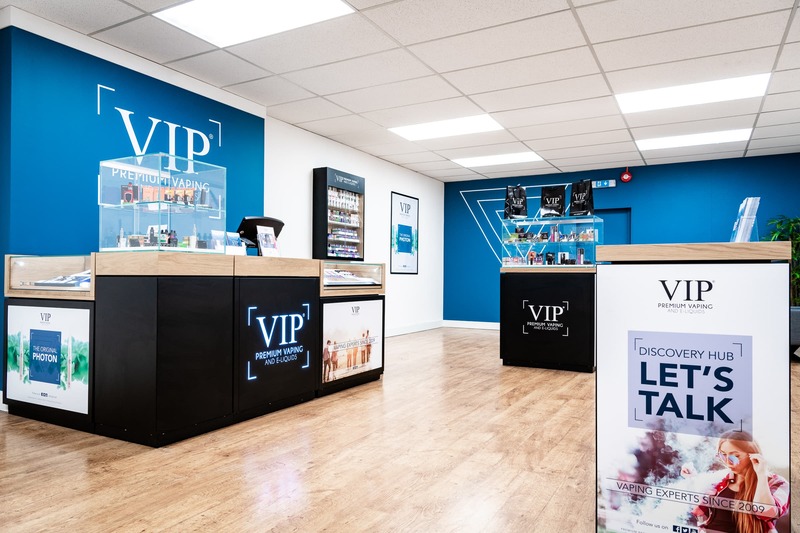 We are currently in the midst of rolling out further stores and kiosks for the premium vaping brand. 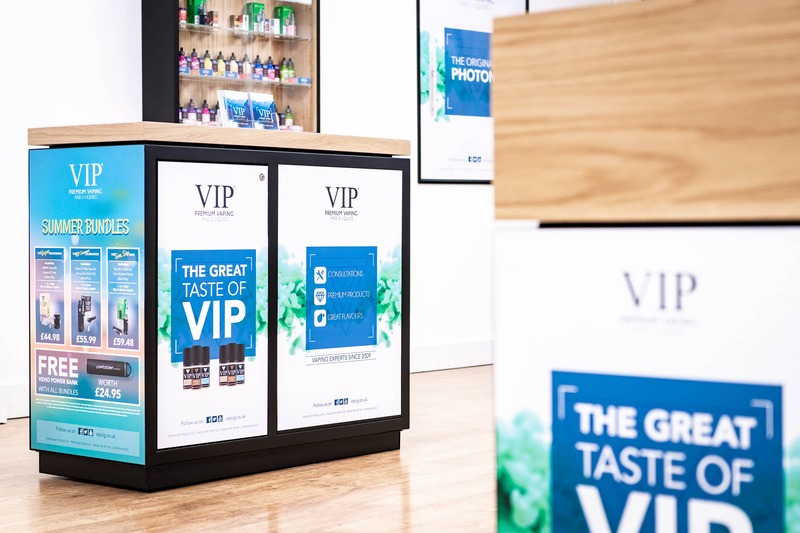 Whilst each site may take on alternative forms, the curated design for VIP will create a holistic brand story across all physical retail outlets.